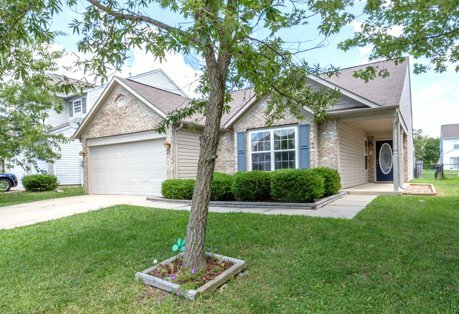 Better Than New - Ranch Home in Indianapolis! Beautiful ranch home with lots of upgrades! You will love this home, with new flooring, paint, light fixtures, deck and more! Curl up by the wood-burning fireplace during those chilly Indiana winters and enjoy the outdoors in the fully fenced backyard on the patio or deck! Cherry stained cabinets, a master with two showers, an intercom system and other amenities throughout make this home perfect!